So, the new season is here and everyones excited to see the action from all corners of the globe. For me though there’s another reason to be hyped up. It’s time to decide what tyres you will be rolling with for the next 6 – 8 months. It’s new kick time. Are you loyal to the almighty swoosh? Has die marke mit den drei streifen got you excited or are you thinking of going with a new kid on the block and rocking a Chef Curry, a BBB or maybe even seeing what the other Dassler brother has in store now Jay-Z is now Creative Director of the Hoop dept. This section could go on for pages as shoes come out much more frequently than they ever have but I’m going to stick to 5 new performance pairs to talk about. I had to start with these because they have been the most shocking and divisive release this year. Jordan Brand has gone in a completely new direction. After the 31 and 32 being heavily influenced by the AJ 1 and 2 I was worried that’s all we were going to see from now on, updates of old Jordan’s Whilst the 33 has slight throwbacks to the 3, mainly the tongue, heel plate and Nike Air branding on the back the rest of he shoe is filled with crazy new tech, of which the biggest talking point is the Fast Fit lacing system. A “laceless” wire based tightening system that is activated by a pull tab on the upper of the shoe. The tech isn’t a million miles away from the old Puma Disc tech, which never took off back in the early 90’s. Will it be different with the goliath Jordan Brand behind it? Possibly. 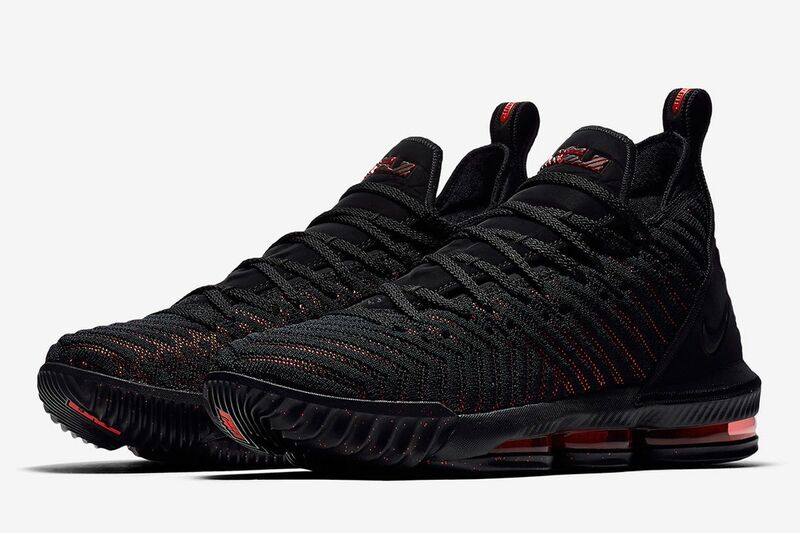 Regardless, it’s exciting to see Jordan Brand leading the way in basketball sneaker tech rather than just releasing retros and rehashes of old silhouettes. I wanted to show one new design from each of the big brands and Nike was the most difficult to pick one out from. The Bron, the Kobe, the Kyrie, the PG and the KD dominate hoopers feet across the world but for me this year the Lebron is the make up that has had the most changes – even though there still isn’t a huge amount new to talk about. We all know Lebrons are built for one of the worlds most freakish and demanding athletes so the sole remains the same, ¾ length air bubble. The upper is Lebrons very own version of Nikes superb Flyknit, Battleknit 2.0. An upgrade on last years with focus on ease of access into the shoe. The big thing for me this year is the cut of the shoe. Lebron has always kept a mid cut shoe while many others have gone for the low cut. The 16 see’s the lowest ankle we have seen on a King James signature. With the NBA shoe colour rule being relaxed this year look for some crazy colourways of this shoe to hit courts this year. The Beard signed a HUGE deal with Adidas in 2015 (13 years for $200million). In my opinion the shoes have been a let down. Adidas has a rich history in Basketball – Pat Ewing, Kobe, Tracey McGrady and now prime time players like Dame Lillard and Harden, but, their recent releases have been forgettable (apart from the BYW X – which is IMPOSSIBLE to get). The Harden 3 has a full length Boost sole. 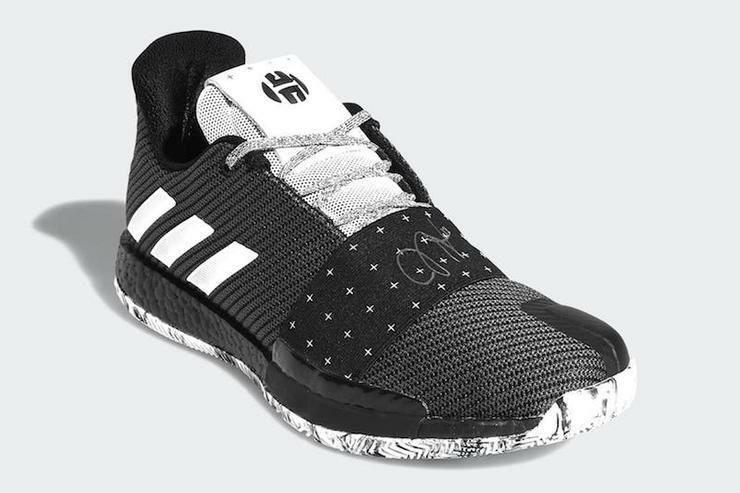 The Boost tech is phenomenal for comfort but I hear a lot about the problems of Harden models not having the lockdown to keep your feet stable. My favourite Adidas shoe of recent years is the Dame Dolla 4. I would have included that here but that’s a 2017 shoe – seemed wrong to include it when we are about to hit 2019. Step your game up Adidas. The easy UA shoe to talk about would have been the Chef Curry 5. It’s a huge seller, mainly because of Steph, not because of how the shoe performs but that’s always the way. The Under Armour shoe that has peaked my interest (apart from The Rock’s kick which is FIRE) is the Havoc Low. UA’s new HOVR tech has got some great reviews in its running shoes and from what I hear the basketball model is equally as impressive. Dennis Smith Jr and various other young guns are wearing it this year and UA have some incredible colourways which will actually get to see the court this year now the NBA has relaxed the footwear rule. People have questioned Under Armours longevity in Basketball, and even as a brand but I think these kicks on the right exciting stars could change that. Puma are back in Basketball. Last time we saw a hoop shoe from Puma was on Air Canada in his rookie year in TO. It was pretty terrible and he swiftly left Puma for And One and even quicker left And One to become the face of Nike Shox Basketball. This time things look to be different. They have gone back to their roots and remodelled the Puma Clyde as worn by Clyde Frasier in the 70’s. Puma appointed Jay-Z as Creative Director and they have signed young players, Terry Rozier, Marvin Bagley, DeAndre Ayton and Kevin Knox along with a veteran All-Star and new GSW centre Demarcus Cousins. I like this shoe, but I have a soft spot for Puma so I’m just happy they are back in Basketball. Only problem? These are proving hard to cop! So there it is. A range of sneakers from various brands in basketball. As always the comment section is open if you want to talk kicks or let the people know your shoe recommendations or experience with shoes in this post. I’m off to try and cop a pair of Adidas BYW-X, UA Project Rocks and Clyde Court Disrupts. Wish me luck.